One of the topics that long-distance and Audax/Brevet riders tend to get a bit obsessive about is bicycle lighting. They (we) also tend to obsess over products that make us self-reliant when we ride. So my apologies for this somewhat geeky and long post. Last summer at Paris Brest Paris, I noticed that many, perhaps a majority of the participants from some countries seemed to be using lights powered by dynamo hubs. Of course, I knew what a dynamo hub was -- you see them on practically half of the shopping bikes (mama chari) in Japan. My wife's shopping bike has one. But I had always assumed that they produced too much drag to be used for longer distance riding, even where you need lights for many hours at night, several nights in a row. (And this is certainly what I heard from Japanese mechanics and cycle shop owners -- too much drag!). I was wrong -- as several of the PBP riders were happy to explain. Top dynamo hubs in recent years create so little drag as to be insignificant in any context except racing, and they save weight, trouble and cost when compared to carrying and using multiple sets of spare batteries. This was of special interest to me at the end of PBP. Before, I had been quite happy with a couple of small, cheap, bright Gentos LED lights, just swapping in spare batteries or buying more at a convenience store when I ran low during night rides. But as I found myself rationing batteries on the last night of PBP so that I would have light available until morning, and then crashed out after blowing both tires on a small barrier in the roadway that I had not seen, I thought maybe I should try a dynamo hub. So when I got back home to Tokyo in August, I did some basic reading on the Internet about them. I learned that the "Campy Record" of dynamo hubs is the Schmidt nabendynamo out of Germany (SON Delux and SON 28). They are very nice to look at (polished silver), fairly light weight -- especially the SON Delux -- very low drag with or without the light turned on, but costly, and expensive. Did I mention that they also have a high price ... In Japan, the price borders on outrageous. In Germany, it is just high, not outrageous. So I read some comparative reviews which persuaded me that the newest DH-3N80 Shimano dynamo hub, with "Ultegra class bearings" would be a good compromise -- not quite as low drag, especially with the light off, but lacking the vibration at certain speed ranges that some people complain about with Schmidt hubs, and a bit heavier. Maybe 35-40% of the Schmidt's cost at retail. The DH-3N80 is, well, the "Shimano" of dynamo hubs -- not a thing of beauty, certainly not something you can get passionate about, but functional and not temperamental. I built up Wheel No. 00001 around one of these. Shimano hubs are readily available in Japan, of course, and it works just fine. In my online research, I found another interesting approach -- a hub with a mechanical switch to completely disengage and separate the magnets, thereby eliminating any extra drag whatsoever as compared to a non-dynamo hub while a light is off and the magnets are disengaged. This version, sold in Germany by Supernova, which also makes the beautiful, expensive E3 Pro lights, seemed worth further study. I noticed that the Supernova detachable hub seemed the same as one made by a small company in Taiwan, SP Dynamo (Series 7). It was pretty clear that SP Dynamo must be the source of the Supernova product. Likewise, the Velo Orange brand in the U.S. seemed to be selling a similar design of hub, in a Velo Orange package. I sent a note to SP Dynamo and was delighted to get back a personal reply from the main man there, Vic Chen. He noted that for long distance night riding, such as Audax events, I might prefer their Series 8 hubs. The Series 7 detachable hub adds a lot of weight, and the "light off" drag of the Series 8 hub is so low as to be inconsequential and make it a better choice, especially for rides with lots of elevation gain. The PV-8 is their standard model designed for a 622/700C road bike wheel. But Vic mentioned that if you are a Brevet rider using an LED light, and want the best combination of low drag, it should be possible to use their SV-8, which is designed for 20" wheels. This light might not generate sufficient current to power many lights when ridden at very slow, grandma's shopping bike speeds, or if you want to run a USB charger at the same time as the light. But otherwise it is great. Also, he noted, you are trying to minimize "light on" drag, you need to choose a light that does not draw too much an electric load -- such as some super bright trail-riding versions. The PV-8 is SP Dynamo's model designed for a standard 700C road wheel. It is actually available in Japan (via Trisports, and maybe one other wholesaler), at least in black, and costs about the same as the Shimano DH-3N80. I could not find the SV-8 in Japan, but eventually purchased one direct from Vic. The PV-8 went on Wheel No. 00004 -- which I rode a few times just to check it and then sent to a friend whose bike with dynamo hubbed front wheel had been stolen. The silver SV-8 went on Wheel No. 00005, which I kept and have now used for around 2000 kms -- the biggest test being 1375 kms of Tohoku riding over Golden Week -- including one day with lots of rain and plenty of water on the road -- plus lots of other trips around and near town. It should get another real test when I use it on the Cascade 1200 in late June. I like the look of the silver version. Not quite the shiny polished silver of the Schmidt, but very nice. A recent independent German test of various hubs by an online magazine vindicates SP Dynamo's claim to be very comparable to the Schmidt hubs in terms of performance. (NOTE: Actually, the author of this article is identified as working for the manufacturer of SON hubs, Schmidt Machinenbau) It tests the PV-8, not the SV-8 -- which of course is lighter weight and lower drag than the PV-8, but not approved in Germany for use with 700mm road bike wheels. (If you use Google Chrome browser and have your browser translate the German article to English, you can decipher 95%+ of the article.) The test also includes the Shimano DH-3N80, which does okay, except it seems to have much higher "light off" drag than either Schmidt or SP Dynamo, because of different placement of its magnets. And there is another new Shimano hub in the test -- 1.5V instead of 3V, for an upcoming new standard. Here is another German site that has some reviews and relevant information, including some English content at the far lower left. The German test only covers the PV-8. If the SP Dynamo PV-8 has very similar low drag to the Schmidt models, it excels in two other areas -- lower weight and lower price. If you compare the PV-8 to the new SON28, it is 390g vs 440g. If you compare the SV-8 to the SON Delux, it is 367g vs 390g. (Since the SON Delux is also a lower output model, this seems appropriate, whereas the German test compared the PV-8 to the SON Delux, both 390g. And did I mention that the SP Dynamos retail for much less than half of what the Schmidt ones do? Charts on SP Dynamo's website compare the SV-8/SD-8 with a "Germany Brand" dynamo. It shows the output (voltage) and drag (light on and light off) of the S-8 dynamo using a 20" wheel at various speeds. I believe the comparison is against the SON Delux (also in theory a 20" wheel model, though approved in Germany for 700mm wheels with the SON Edelux LED light). A second chart that compares the higher output, slightly higher drag/weight P[V/D]-8 against a "Japanese Brand" dynamo using a 700C wheel. This shows the weak point of the Shimano DH-3N80 -- extra drag with the light off. Maybe not enough for most of us to notice, but still it is 2.5 times the drag of the P-8. In any event, I now have enough experience with the SV-8 so that I feel comfortable giving a very positive review. It works like a charm, produces plenty of current to power either my Philips Saferide LED 60 Lux light or my Supernova E3 Pro LED. And it is very low drag -- a simple "spin test" confirms what the more scientific test data shows. Using the SV-8 with Supernova light in Tohoku, at the very slowest (almost crawling) night climbing speed, I still would get a reasonable light from the SV-8. When I stood out of the saddle and basically was "walking" up the hill at 5 kph, the light would brighten and dim with each stomp of the pedals (dimming down almost to the "stand light" level). But I do not need a very bright light when going at 5 kph. And when I got back in the saddle and pedaled with a bit more of a normal rotation, even at very slow speed, the light was steady. On the flats and on fast descents, the light stretched way out ahead down the road, giving ample advance warning of any danger. Only time will tell how durable the hub is -- whether the seals keep water out over the long haul, whether the sealed bearings will hold up or will need to be replaced. But so far, so good, including plenty of riding in rain and with standing water on the road. At a more wonky level, by looking at the first chart above, showing the S-8 voltage and drag at various speeds with a 20" wheel, it is possible to roughly extrapolate to the result with a 700C wheel if we assume that the circumference of the 20" wheel and tire is about 0.75 times that of the 700C wheel and tire -- of course, the actual ratio will depend on the tires used, and whether you are using a 406C or 451C version of the 20" wheel. The difference could be greater. I'm no electrical engineer, and I'm just eyeballing the test charts on the SP Dynamo page, but based on the German independent test I feel comfortable at least suggesting as follows -- please let me know if you disagree. If the S-8 is placed on a standard 700C road bike wheel, its voltage at any given speed as shown on the S-8 Chart will need to be determined by looking at 0.75 times the speed shown on the Chart. For voltage produced by an S-8 at 20 kph using a 700c wheel, look at the 15 kph on the chart. Likewise, for voltage at 30 kph, look at 22.5 kph on the chart. As can be seen, using a 700C wheel, 6V is obtained at approximately 17.5 kph. With a road bike wheel, 4V can be obtained at approximately 9 kph -- my speed for steep, slow, climbing at a 9-10% grade. 3-4V is plenty to power most dynamo LED lights. Conversely, the charts showing "additional power input" needed when the light is on or off must be adjusted downward if the S-8 is used with a 700C wheel. The S-8 chart shows that at a speed of 15 kph, with the light ON, power input of approximately 4.8 watts is taken. In fact, however, at 15 kph the additional wattage should be only that shown as needed to run at 11.25 kph, approximately 4.0 watts. Similarly for the S-8 at 20 kph with the light ON and 700c wheels, required wattage is approximately 4.8 watts, as opposed to 5.25 watts if using 20" wheels with the SV-8, or 5.5 watts if using the PV-8, 5.1 watts if using the Schmidt dynamo (adjusted for 700C wheel size), or 6.4 watts if using the Shimano model. For the S-8 at 20 kph with the light OFF and 700c wheels, required wattage is approximately 0.5 watts, as opposed to 0.65 watts if using 20" wheels with the SV-8, or 0.6 watts if using the PV-8, 0.65 watts if using the Schmidt (adjusted for 700C wheel size), or 1.5 watts if using the Japan brand (must be Shimano) model. At 30 kph with the light OFF and 700C wheels, required wattage for the SV-8 is approximately 0.7 watts, as opposed to 0.9 watts if using 20" wheels with the SV-8, or 1.0 watts if using the PV-8, 0.95 watts if using the Schmidt, or 2.3 watts if using the Shimano model. Weight of the SV-8 with 100mm spacing for a road bike fork is 367 grams. PV-8 is 390 grams. Schmidt SONdelux is 390 grams, newest SON28 is 440 grams (down significantly from 570 grams in 2011 and earlier models), Shimano DH-3N80 is approximately 520 grams. If I forgot to mention it, SV-8 retail cost is much less than 50% of the price of Schmidt models, and is comparable with the Shimano DH-3N80. The SV-8 provides ample output for an LED light and affords the lightest weight, lowest drag solution, with light on or off, at a lower cost. Given the benefits of having a dynamo -- not just for lighting, but also with special adapter, for charging USB devices such as Garmin Edge GPS computers and smartphones -- there is no excuse not to have one for any ride that is going to extend over several days or require more than a few hours of light. I have yet to explore the add-ons needed for USB charging from a dynamo hub ... but you can find some information at the relevant thread on the TCC BBS, and that is on my future agenda. Now that I've gotten confident in my wheelbuilding skills, I am thinking of ordering some more of these direct from the manufacturer to build wheels for friends and family. If anyone is interested in having a wheel built with an SP Dynamo SV-8 or PV-8, just let me know. A new "spin test" comparison of the SV-8 against the SON XS -- these are both 74mm versions for use with Brompton or similar folding bike wheels ... but the hub internals should not differ from other models. Here is a LIGHT ON spin test. And here is a spin test with the LIGHT OFF. And the winner is ??? The SV-8 has now made it through (1) 1375 kms in Tohoku in May, (2) the Cascade 1200, and (3) the Rocky Mountain 1200, and still seems as good as new. Each of these rides involved at least 24 hours of nasty weather -- riding in sometimes heavy rain, with water collecting on the road surface, and the Rocky Mountain 1200, in particular, was very, very tough on my equipment -- shredded tire sidewalls, broken spoke, broken shifter cable, lots of flats, and on and on. UPDATE (March 2013): I have added a review of some different LED lights, in case of interest. UPDATE (April 2014): The SP dynamo hubs I am using are all working beautifully. The "main" SV-8 on the A23 front wheel I use for most brevets and randonees now has over 15000 kms at least. I stopped counting. The disk brake version on my Yamabushi has thousands of kms, including urban riding as my commuter bike, as well. And no reports of any problems from the people I have given these to or built up wheels for. Let me know if you do have any issues. SV-9 UPDATE (December 2014): I now have gotten my hands on one of the new series 9 SP Dynamos, the SV-9. This hub is over 15% lighter weight than the SV-8, and noticeably more compact, and noticeably smoother than any other dynamo hub I have seen or tried, especially when an attached light is switched off. See my review here. Watch for it as it becomes available over coming months. I read with great interest your review of hubdynamos. I am surprised that there is so much difference of wattage at light off. I use Simano Hubdynamo for Brevet, but if use the other one, I can enjoy day time ride. I am personally interested in USB charger. Do you know the review about it? Thanks for your opinion about the SP-Dynamos! As they seem to be as good as the Schmidt Dynamos but much less costly, they are indeed really interesting. Too bad, they are only available under the brand name Supernova in Germany, for approx. the same price as the Schmidt-Dynamos. It looks to me as if the Biologic Joule 3 that won a design award at 2012 Eurobike also seems likely based on the SP Dynamo base model ... but not sure where it is available. And SP does sell from an online store, if you want it shipped from Taiwan. ... it looks as if their prices have (deservedly) increased a bit in the past year, though it could just be my poor memory or shifts in exchange rates. Still about US$130-150 for one of the SP models. I just got a PD-8 myself and in the process of lacing it into my wheel. 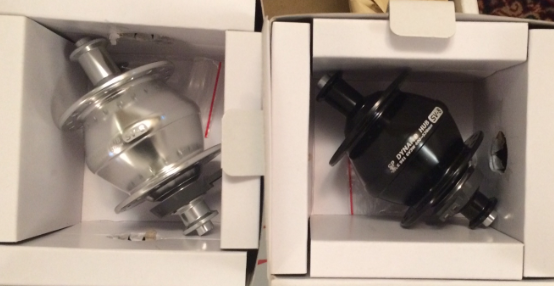 Stefan, SP hubs can be bought officially in the UK for almost the same price as in Taiwan. SjsCycles carries them for example. Thanks for that, David. I`ve already pretty much decided that my next dyno hub (have been using various Shimanos for several years) will be SP, but hadn`t yet figured out their model/numbering system. You just did that for me! 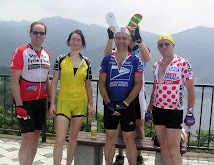 Good job on the review and happy pedalling. Hi David and thank you for making all this information available! I was wondering if you also powered your rear-light with the SV-8 or if you use battery powered lights instead. I'm currently thinking of using a SV-8 on a 700c wheel to power a Philips Saferide 60, and potentially a Philips LightRing, but I'm unsure the SV-8 will be powerful enough to power both lights (in low speed conditions for example when I'm climbing). I have not used a hub dynamo powered rear light, since I have rechargeable Eneloop (Panasonic/Sanyo) AAA batteries for my tail lights, and will last through a ride that includes several nights. That said, I think the SV8 it should work fine, since the tail light will only draw a small fraction of the current required by the front light. What does not work is trying to use an SV-8 to power both a front headlight and a USB charger at the same time. Too much draw and so the USB charger shuts down, in my case. I'm glad to report I used the SV-8 on a 300km brevet in Ireland last Saturday, and I'm over the moon with my setup. The Philips Saferide 60 lights up the road and I feel no significant drag or vibrations from the hub. I'm sold! I wasn't able to connect the rear light to the hub, as it was delivered without cable. I'll report on this as soon as I sort it out (I'm in no rush since battery powered rear light work fine). Thanks again for the detailed review! Great review David ! I recently purchased an Exposure Light and hub package, which I also believe is an SP hub. Works well, and has less drag than my other Shimano Alfine dynohub wheel. My only wish is for SP to come out with a 1.5v version like Shimano recently has done. It would suit Fixie riders who wish to maintain the simple elegance and high efficiency ride out put which they are known for. First post, as I've been following the thread, prior to setting up a dynamo based system for this years LEL (successfully completed !). I bought an AXA front light Luxx 70 Plus Steady Auto, which has a USB socket on the side, for about £70. It worked (with the SP)perfectly, charging my Garmin and mobile during the day, and providing plenty of light at night. There are several (very neat) set-ups giving a usb potential available, but they all are a) expensive and b) are separate items. The AXA light combines functions and is (relatively) less expensive. Very nice post. Many thanks for sharing all of those precious information. Helps a lot. 1. Yes, I just got a Philips Saferide rear light and have done a few rides now. I was worried about whether the SV-8 would have enough power for front and rear lights, so tried the first few rides with a wheel that has my PV-8 hub. But just yesterday tried the SV-8 and it seems fine. Also, with the PV-8 and the lights on, there is a noticeable vibration at high (>40kph) speeds (as I understand is the case with SON dynamos), so I prefer the SV-8. 2. I have tried some USB charging options with the SV-8. I have The Plug and also got a Busch + Müller LUMOTEC IQ2 LUXOS U. The Plug is complicated to rig up -- need a fork that has a hole in the bottom of the crown, and space for wire to emerge between crown and tire/fender. It is not currently in use, though I may put it back on one of my bikes (the Yamabushi) in due course. The IQ2 Luxos U failed in the rain after my first long event last year. In neither case can you charge a device with USB while using the light, but both worked to charge a device when the light was switched off. So I still am putting spare Li Ion batteries from which to charge my phone and Garmin GPS into a drop bag, or searching for a power strip at a control point, on multi-day events. I was very inspired by your reviews of the SP dynamo hubs and bought an SV-8 for myself. I had a local mechanic build it up with a 32-hole Mavic Open Sport rim. I have ridden the wheel for about 250 miles and noticed that it was incredibly out of true today. I took the wheel out of the frame and noticed that it flexes under the stress of my hands (I weigh around 140 lbs and have not done any extreme riding on the wheel). I am hoping to rebuild the wheel with a new rim and am wondering if you have any tips since you have had such a positive experience. Thanks! I am sorry to hear that your wheel is out of true and flexing after 250 miles. Does not sound like a component (especially hub) issue. With a 32-spoke build and your light weight it is very likely an issue with the initial build -- probably uneven/too low spoke tension to start with -- though you might just be unluckly and riding on very bad roads. I suggest you first take it back to the guy who built it, and ask that he true AND properly tension it -- if it has only been a short time he ought to do it since a well-built wheel should not go totally out of whack under the conditions you describe. If he cannot or will not do it, then find a better wheel builder/mechanic. Thanks for the informative article. My DH-3N80 weighed 485g on a good scale, without skewer. I strongly recommend the Sinewave Revolution USB charger. It's very easy to connect to SP-Dynamos, and has been working well to keep my iPhone charged on the go. It was a bit fiddly to squeeze the wires through the holes in the SP 'plug', but with patience and a steady hand it was do-able. in August of 2014, I built a Stan's wheel around the PD-8X hub and have used it on 5 multi-day backcountry rides with great success. With my next ride soon approaching, I handed the wheel over to my local bike shop to change out the tire while doing the tune-up on my bike. I just got a call from my mechanic with concerns that my dynohub wheel doesn't seem to spin freely. He claims that with force, he can maybe get it to complete 3 revolutions. Is this right? I can't recall the hub having that much resistance. BTW, he's already ensured the rotor and brake pads are properly aligned and thus aren't a factor. Thanks for any info/opinion anyone might be willing to offer up. I hope you contacted SP and got them to deal with your issue. Let us know how it turned out? It sounds like somehow water might have leaked in and corroded? That happened to me on a non-SP non-Dynamo hub once and very quickly the hub almost seized up. Forgive me if this question has already been answered here, but I am currently planning on building my own usb charging circuit to use with my PV-8 on a 700c wheel. I've looked up various schematics on cycling forums/blogs, yet lots of commenters believe that they all seem to lack proper voltage protection from the varying output from the hub. What is the ~ maximum v/w output coming straight from the hub? For output, we follow German STVZO. Shimano also follow German StVZO 6V3W regulation. 6V3W is a general or I can say a nominal spec. For German StVZO 6V3W approved hub, its output is 0W at 0km/h. For 3W output, the speed is normally at 16~17km/h. For German StVZO, the maximum speed is set as 30km/h only. At 30km/h, the output cannot be higher than 4.6875W (based on StVZO regulation). 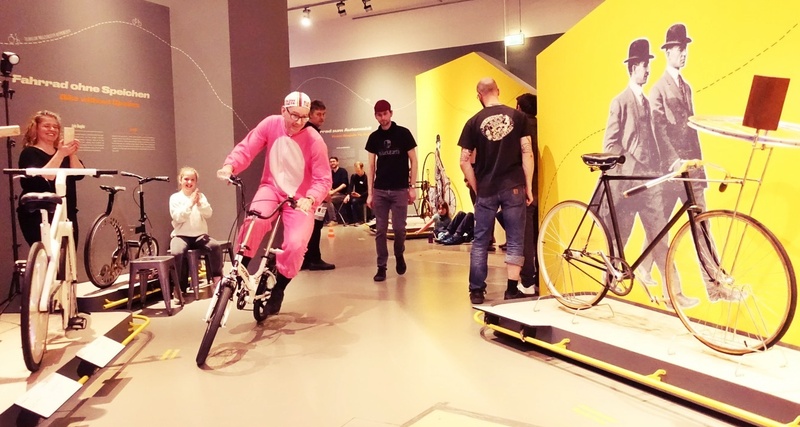 At real riding, the speed can be 50km/h and higher. The maximum output of PV-8 should be less than 6.75W. All the output from dynamo hub is AC. So converter will change it from AC to DC and make it stable to charge electronic devices. So it will be better to choose good converter which is designed for biking. UPDATE on the faulty PD-8X. You were right. Shutter Precision promptly replaced the hub, as it was found to be from a facility that produced a bad batch. I purchased the original hub from Dave at Sinewave Cycles (along with a USB charging port). He was so helpful upon learning of my troubles. All I had to do was print up a return label from him, box up the old hub, and drop it in the mail. He took care of the rest. Well, other than the wheel rebuild when I eventually received the replacement hub. But not too bad! If anybody on this board hasn't learned of Sinewave Cycles yet, go have a look at his USB charging options. Great little company, for sure! Thanks for your reply and great advice.